Hi,my name is mark i am looking on here and it is good but i think that you need to get a bigger pic becuase people can not see the stone. one more thing why do you have at the top that pic is that a rosetta stone? bye have a nice day! Hi, Mark. Glad you are enjoying the site. 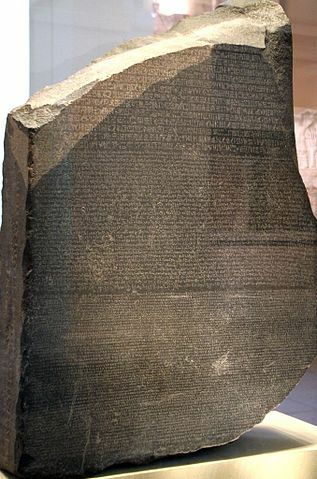 Unfortunately, it is difficult to find close-ups of the rosetta stone that are in the public domain, meaning bloggers can use them. The picture at the very top of my blog is from the Lincoln Memorial.